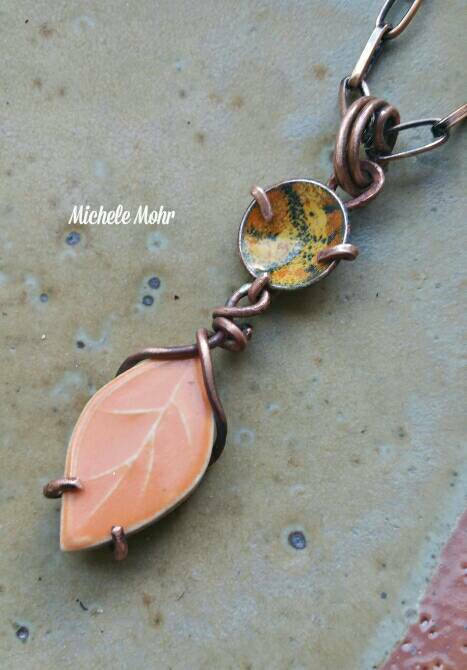 Handcrafted pendant created from orange ceramic leaf and kiln fired vitreous enamel (powdered glass) sun with claw setting. 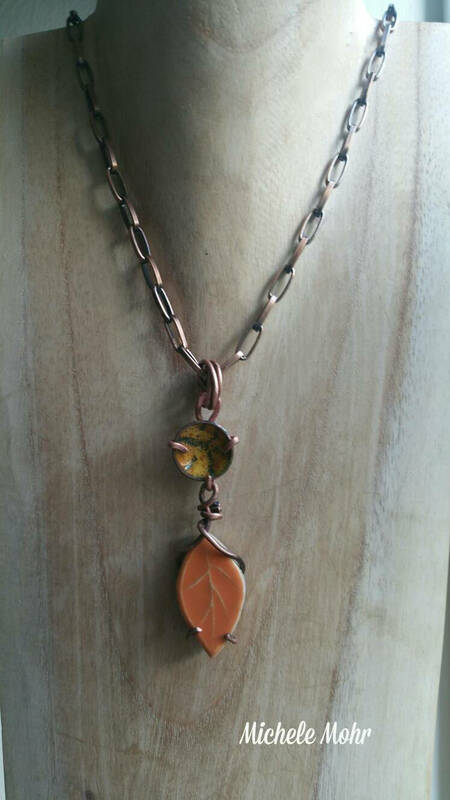 Chunky oxidized copper chain with lobster clasp. 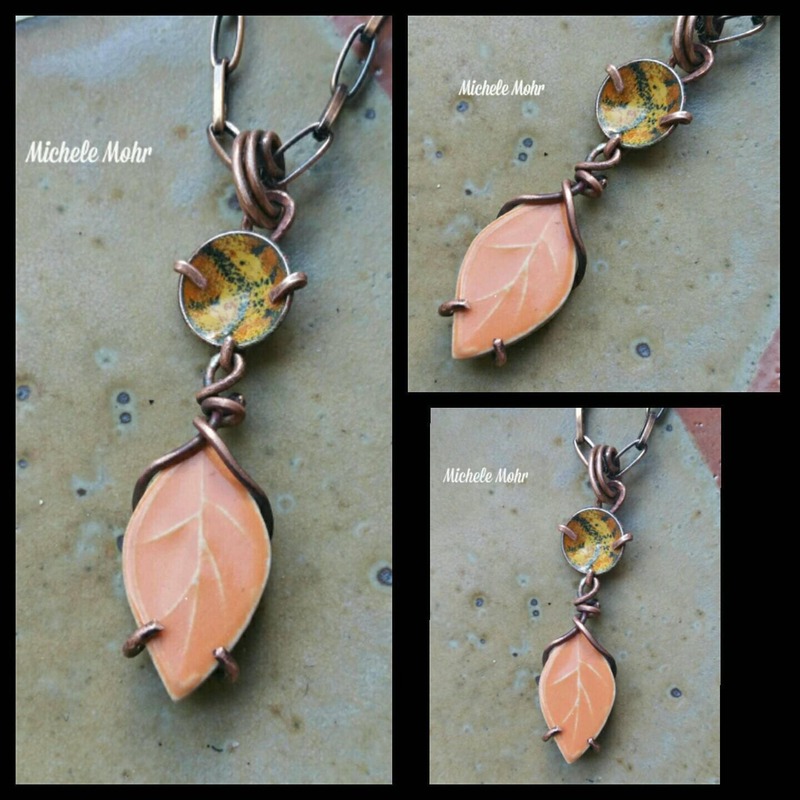 Adjustable to 26" in length. 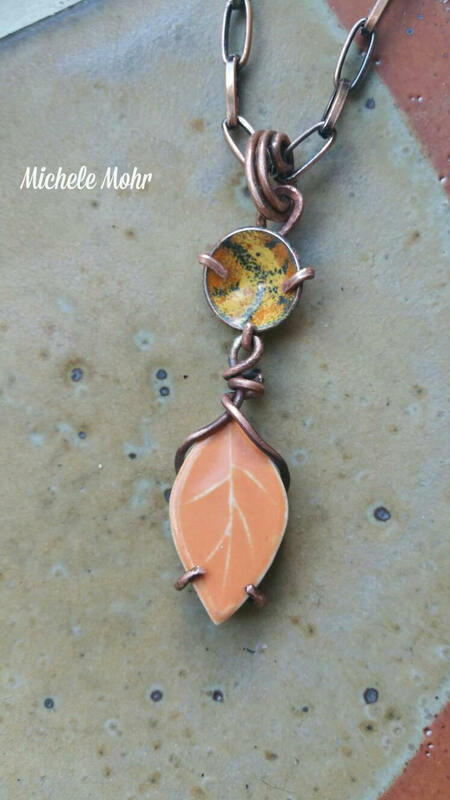 Pendant including bail is approximately 3" in length. .75" at widest point of orange leaf. 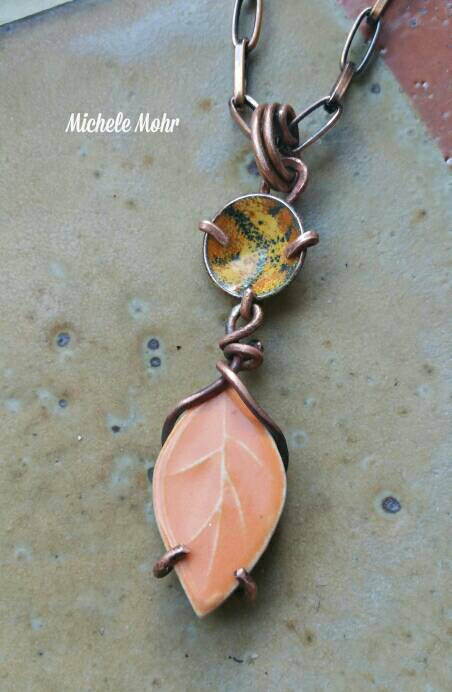 Leaf it approximately 1.25" in length.